We are proud to announce the launching of Shotl’s first deployment in the United States. 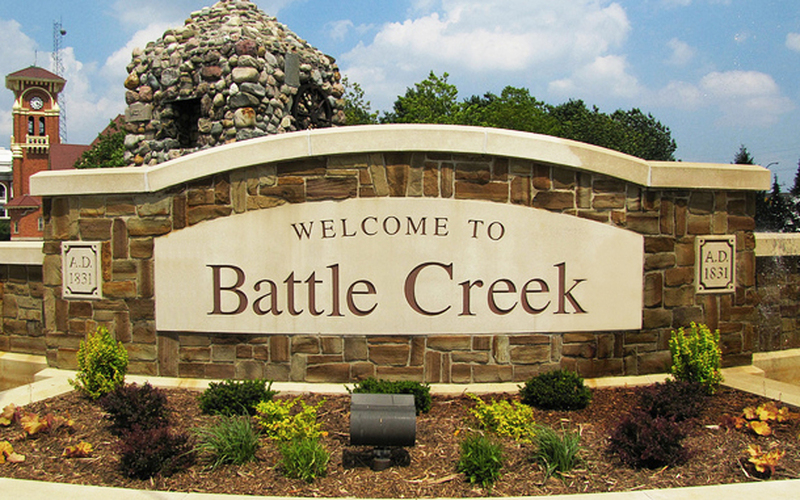 The chosen location is the city of Battle Creek - Michigan, cereal capital of the World and home of the universally famous corn flake. With a total population of 50,000 inhabitants the historical city is also surrounded by Tier 1 and Tier 2 suppliers to major car manufacturers. The project comes as a result of an agreement signed between Shotl On-demand Shuttles and Aequitas Mobility Services, a non-profit organization focused on creating equitable solutions and advocating for increased mobility for individuals and families working toward economic self-sufficiency. Shotl’s commitment with Aequitas is to help provide efficient on-demand transportation services between various residential areas and workplaces in and around the municipality of Battle Creek. The operation will start with 4 Ford Transit passenger vans to eventually expand the fleet as new users try and repeat the experience of this new type of demand responsive shared transport services. As Scott Cubberly, Executive Director at Aequitas says: “Our mission is to provide better transportation for the people in our municipality. We specially want to improve the mobility of those communities that are currently more disadvantaged. Some folks have a high dependency on public transit with still very few frequent options to move around”. The fleet and the operation are planned to be extended soon in order to provide a better service to other groups such as seniors and school children. This new transportation initiative is supported by several major employers, economic developer Battle Creek Unlimited, local non-profit organizations and leveraging existing community resources. After just 2 years on the market, Shotl is now fully operational in Germany, Spain, France, Finland, Switzerland, the UK, Italy, Portugal, and the United States.